In this guide we’ll take a look at some of the best audio interfaces for home studio recording and music production. Quick answer: if your home studio setup utilizes mainly USB connections, the Steinberg UR28M is your best bet overall. Those with audio gear and utilize Thunderbolt connectivity should take a look at the Universal Audio Apollo Twin MKII. Even though a little long in the tooth, FireWire connections are still prevalent in some home studio. If that’s you, take a look at the RME Fireface UCX for FireWire. Not much has changed from the previous year. However, we swapped out the PreSonus Audiobox 1818 for the Studio 1824 (as the prior was no longer available). We also added MOTU 1248 32×34 Thunderbolt as a good alternative to the Focusrite Clarett 8PreX. If this is your first time buying a new audio interface, take a look at the buying guide which covers how to make your choice. Each of the audio interfaces mentioned in this post can be use by home studio owners, for the purpose of making, producing, and recording music, as well as streaming podcasts. There are even some high-end choices for creating high-quality mixes and masters, as this list covers cheap and budget interfaces, to high-end top-of-the-line audio interfaces. (see price @ Amazon) (read more) Desktop USB interface with 4 mic preamps, 1 headphone connector, and a total of 12 analog outs and 8 analog inputs. (see price @ Amazon) (read more) Desktop Thunderbolt interface with 2 mic preamps, 1 headphone connector, and 3 analog inputs with 4 analog outputs. (see price @ Amazon) (read more) Desktop/half-rack space USB and Firewire interface, with 2 mic preamps, 1 headphone connector, and 8 analog inputs with 6 outs. (see price @ Amazon) (read more) Portable desktop USB interface with 1 mic preamp and headphone connector each, and a pair of analog ins and outs. (see price @ Amazon) (read more) Portable desktop USB interface with 1 mic preamp, 2 headphone connectors, and a pair of analog ins and outs. (see price @ Amazon) (read more) Desktop USB interface with 2 mic preamps, 1 headphone connector, and a pair of analog ins and outs. (see price @ Amazon) (read more) Rackmounted USB interface with 8 mic preamps, 2 headphone connectors, and a total of 8 analog ins and 8 analog outs. (see price @ Amazon) (read more) Rackmounted Thunderbolt interface with 8 mic preamps, 2 headphone connectors, and a total of 8 analog ins and 10 analog outs. (see price @ Amazon) (read more) Rackmounted Thunderbolt interface with 8 mic preamps, 2 headphone connectors, and a total of 10 analog ins and 12 analog outs. The Steinberg UR28M audio interface is from the makers of the Cubase DAW, making it ideal for Cubase users. However, any other DAW user can utilize it. Users constantly rate the UR28M for having an exceptional and honest sound because of its excellent preamps, AD/DA conversion providing a clarity you need to get the best mixes. It also has a built-in DSP with great features. Its headphone amplification also provides more than enough juice for your high-impedance studio headphones. Down to the basics, the UR28M is equipped with a total of four analog inputs. Two of these input are instrument line inputs, the other two are combination microphone inputs and high impedance (Hi-Z) instrument line inputs. The microphone connectors offer two of Steinberg’s famous D-Pre preamps, which use Class A analog circuitry. For output, you can connect two headphones and up to six line outs (3 pairs of L/R channels). If that is not enough for you, you expand the number of connections with the S/PDIF digital input and output connector. All of these connections are placed nicely at the back of the box, tucking away your wires out of site. All that said, this is makes the UR28M pretty impressive. Only possible downside is the lack of MIDI connection, classic or USB. This makes the UR28M essentially useful if you don’t need to plug a classic MIDI cable into your laptop or computer. However, the ability to connect two headphones with with individual outputs makes doing AB mixes a cinch. You get enough outputs to monitor more than one independent mixes at once, making the UR28M great for mixing and mastering. As the UR28M comes from the makers of Cubase, you’re going to expect great software when you purchase this box. First to mention is the music production software Cubase. Next, you get the great sound reverb plugin REV-X, and a channel strip by Sweet Spot Morphing. But maybe what’s more valuable, is the onboard DSP mixer software (dspMixFx). This is the software that allows you to create custom individual mixes for each output channel, as well as adjust the DSP processing settings of the UR28M. The UR28M connects to your computer via USB 2.0 port in the back the unit. It’s compatible with Mac, Windows, and even iOS (with the Apple iPad Camera Connection Kit). All the features on the device is optimized for effective workflow, with its lights signaling you to its various functions you’ll be navigating. The audio interface I am featuring is actually the smallest out of a group of four options. So if you love the Steinberg UR28M, but also may need more connections for some reason (maybe you’re recording a band or group of musicians) you can check out the options in the link below. 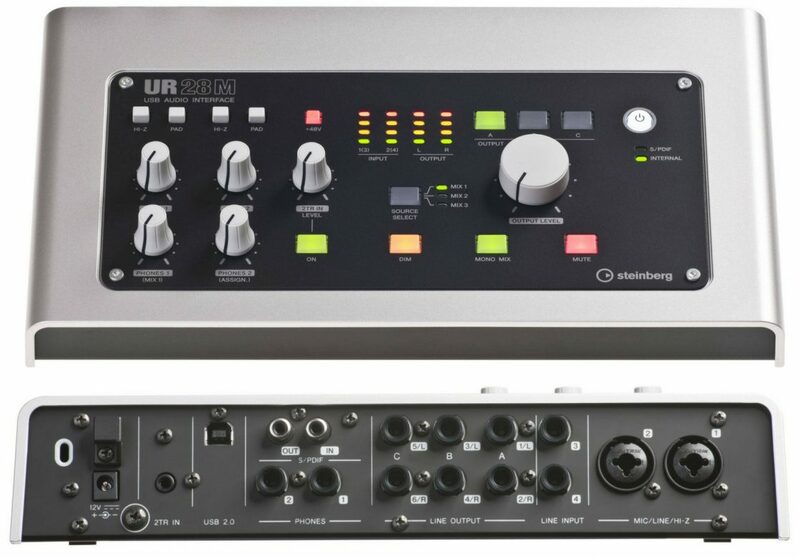 Bottom-line, the Steinberg UR28M comes very close to being the best audio interface for home studio you can find on the market for the money. It has a unique analog circuitry and great sound preamps, ideal for serious music producers, mixing, and mastering engineers. 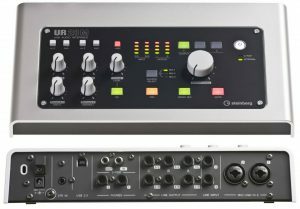 The Behringer U-phoria UMC404HD audio interface is an incredible cheap audio interface for budget home studio owners. For dirt cheap, you get enough connections to record a small band or group of musicians. And it sounds pretty good as well, much better than what you’d expect for the price. Other pro and amateur audio engineers and producers have been very satisfied, some considering themselves “lucky” to get this amount of connectivity and sound from such a cheap audio interface. Hence, it deserves a spot in this list of best audio interface for home studio. The U-phoria UMC404HD is desktop audio interface. On the front of the audio interface you can connect up to four microphones or instruments through the combination input connectors. They use genuine MIDAS microphone amplifier technology, which is renown throughout the world for the ultra clear sound they give in live sound environments, with plenty of headroom. On top of that there is +48V phantom power onboard. There are also an additional 4 inserts in the back, totaling the amount of analog inputs to 8. Output is just as sufficient, with lots of options. You can output audio through 2 pair of stereo connectors for playback on either 1/4 inch or RCA cables. And for the main output, you can connect a pair of XLR stereo cables or 1/4 inch connectors. And if you use MIDI controllers with the classic 5 pin MIDI connectors, that is found on the back as well. With all that said, the U-phoria UMC404HD is quite impressive. With so many connections and options, and for for so cheap, it seems impossible not to get this product. The only issues we could find is that full functionality of the audio interface is not powered by USB solely, you’d need to plug the an AC power adapter into the wall. Also, there is a single phantom power switch for all the microphone channels (4 on, or 4 off). Keep that in mind if you plan on plugging in more than one different kind of microphone or pickup into the preamp… not knowing this might cause unwanted damage to your precious microphones. When you purchase the U-phoria UMC404HD you receive a refreshingly minimal package. What you simply get is just a great sounding audio interface, with lots of connections. That’s all. Some may still like getting the “extra package,” like software, plugins, and sounds (even if they don’t end up using them). But others may find the minimalism of their purchase package more appealing. Especially if you already have all the content and software that you need. As you’d expect, the U-phoria UMC404HD connects to your computer via its USB 2.0 port in the back. As mentioned, it’s a desktop audio interface designed to fit right on top of your desk with your other gear. It’s not “portable,” but it’s still easy to carry and set up for live on-stage situations. It’s also compatible with both Windows and OS X. Bottom-line, the Behringer U-phoria UMC404HD is an amazing little device. Amazing simply because of it price. If you’re in a band or you produce for, or engineer, a small group of musicians, then this will be a great cheap option for you. The Universal Audio Apollo Twin MKII DUO audio interface is a very popular option that gets a lot of great reviews, particularly when it comes to the quality of sound you can get with it. Users who’ve bought it have noted a significant jump in audio quality, coming from cheaper audio interfaces they’ve owned. You’ll notice the high quality of this audio interface also in its build and design, which is beautiful and sturdy. And as it fits on your desk, it’s small enough to take up a small space, as well as carry with you wherever you need it. The Apollo Twin MKII DUO is, as I mentioned, a desktop audio interface. Whereas the controls on some audio interfaces are grouped together with the connections at the front, you control the interface via the large knob at the top, and a group of buttons. Everything is beautifully laid out in a logical manner, with displays that give you feedback of your settings and parameters. At the front of the Apollo Twin MKII DUO are two connectors: one for headphones, and another for instrument cables, logically placed at the front for quick connections. The mass of the essential connections for your home studio will be at the back. There are four outputs, a pair of left/right outs for your monitor, and another individual pair. Next to it are two combination inputs for microphone and line inputs. Then, if you want even more than the amount of connections than the analog connectors can offer, you can connect up to 8 more inputs with the ADAT optical connector. The preamps on the Apollo Twin MKII DUO are really great, users note a clear, analog sounding quality that surpasses many in its class. Plus it comes with its own powerful on-board processing unit. It will minimize the amount of processing power your computer will have to expend by pushing the audio signals into your computer, leading to practically zero latency at super high quality. When you purchase the Twin MKII DUO, you get a plugin bundle to install on your DAW. The UAD Analog Classics Bundle with Unison Emulations give you vintage compressors, EQ, tape machines, preamps, guitar amps, and stompboxes. And if your computer cannot manage processing the plugins, like I mentioned, MKII DUO has two, that is, TWO on board processors that will manage the plugins for you. The Twin MKII DUO connects to your computer or laptop via high speed Thunderbolt connection, and is compatible with OS X or Windows 10 64-bit and later (with Thunderbolt connections). The only downside we could find to this amazing audio interface, is the lack of MIDI connectors. Bottom-line, the Universal Audio Apollo Twin MKII DUO is probably the best audio interface for home studio for a singer-songwriter, composer, or beatmaker. Also mixing and mastering engineers will find this powerful, offering a truly professional level sound quality. Definitely a recommended buy. And if you like it, but want more connections, there is the Apollo Twin MKII QUAD, as well as the cheaper Apollo Twin MKII SOLO available. The RME Fireface UCX audio interface is great if you’re looking for a truly high quality device to record a small group of musicians in your home studio. It may not be as popular, or as well known, but each user I’ve read has constantly had nothing but noteworthy praise for it. From its high quality preamps, to its stable drivers, and digital analog conversion, the Fireface UCX truly seems like a great audio interface to buy, with a layout that makes sense and is easy to navigate. The Fireface UCX is compact enough to fit either on your desk, or half of a rack space on your rack. It looks professional in design, featuring all of its controls on the front of the device. There is even a nice digital display to show you the level for each channel. This is a very hand feature. Also on the front are two microphone/instrument combination inputs with +48 phantom power, and two more balanced instrument inputs next to them. The headphone jack is found also right at the front of the device. The back is where the majority of the connections exist. There are a total of 6 balanced line outputs at the back, plus 4 more balanced instrument line inputs. This totals eight analog inputs, from which you get two microphone preamps. But if those connections are not enough, you can expand to 16 digital input and output connections with the ADAT optical connectors at the back. Again, even if that’s not enough, there is the option to expand to S/PDIF inputs and outputs. So you virtually won’t run out of connections with the Fireface UCX. Additionally, there is are the 5 point MIDI connectors at the back for high speed MIDI data transfers to and from your DAW. And to keep your devices in sync and prevent any glitches in your digital audio streams, there is are the I/O Word Clock connectors at the back. The Fireface UCX comes with redeveloped Hammerfall converters which are pretty renowned for their high quality. But what’s amazing is you also get a flexible 18 x 18 monitor mixer with the TotalMix FX software that comes with it, with up to 9 independent stereo submixes. The onboard DSP offers incredible effects and latency-free processing with its dedicated EQ, dynamics, reverbs, and delays, all controlled within the integrated DSP monitor controller. The Fireface UCX can be connected to via USB 2.0, 3.0, and FireWire 400, and is compatible with Windows or OS X. You can even connect it to an iPad 2 via the Camera Connection Kit. Despite it being a great audio interface, there is one major downside… it utilizes the dated FireWire 400 connection mentioned. However, it was included this in the list because we’ve noticed that there are people who still use Macs with FireWire connectivity that may need either a hardware upgrade or replacement audio interface without having to get a new computer or get an adapter. Bottom-line, the RME Fireface UCX is an amazing little device that packs a lot of power and potential. We’d recommend this for anyone from a singer-songwriter to a recording engineer. But, given the amount of analog connections it offers, one would think it suits best the producer or engineer of a small band that needs to record a small group of electrical instruments and a couple of microphones, or a mixing or mastering engineer looking for a high quality audio interface. 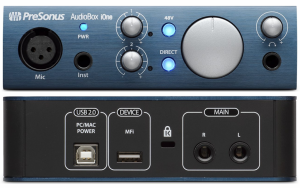 The PreSonus Audiobox iOne audio interface is a great little unit for Apple devices, specifically the iPad and iPhone. But it’s also compatible with Windows computers and MacBooks as well. The chief reason why you’d want to get this is because it is small, compact, and lightweight, making it easy to carry around and connect your instrument and microphone to your iPad for live performances. It’s also very cheap, costing at just under 100 dollars, making it one of cheapest audio interfaces on this list. The Audiobox iOne gives you two analog inputs. One is for instrument cable, the other is for microphone cable. The microphone input comes with a high-performance Class A preamp with phantom power, with the ability to input up the 24-bit resolution at 96 kHz, at a 105 dB dynamic range, which is pretty big for this price. The output is a single balanced channel of left/right connectors to connect to your speaker monitors. Plus, there is a single headphone out as well for your headphone monitors. When you buy the Audiobox iOne, you get for free Studio One Artist DAW. It’s a great little DAW for doing basic music making and recording. If you’re using it with your iPad, you get the Capture Duo iPad App, which will capture your musical performances before you lose them, and transfer them to your DAW seamlessly. Finally, with AudioBox iOne you get seven professional plugins from Maag Audio, Lexicon, and Arturia within the Studio Magic Plug-in Suite that comes with the audio interface. Now, if you liked the specs on the iOne, but you wanted more connections, plus the ability to connect MIDI, there is another version called the iTwo (available at the link below). It offers the same content, features, and specs as the iOne. But the 2 analog inputs become combination inputs instead of one separate for instrument, and another for mic. You can plug either 2 microphones into the inputs (with 2 preamps), or plug two instruments into them. Additionally, like I mentioned, there is a MIDI connector in the back. The connector is a pair of I/O 5 pin plugins. This gives you not only near zero-latency for your audio, but also for your performances on MIDI instruments. Bottom-line, the AudioBox iOne is a great audio interface. The ideal user is a singer-songwriter who wants to record and perform live with microphone and an instrument, with the capability to utilizing an iPad music app or DAW. This is also an ideal audio interface for solo podcasters and voiceover actors. The Audient iD4 audio interface is another great little portable audio interface that offers industry standard quality. It has a desktop form factor that offers the advantage of being a light, compact tool for singer-songwriters who want to take their productions and recordings on the road. It’s compatible with both Mac and Windows computers, and is easy to set up and get going. And for the affordable price tag it has, you’ll get great professional studio quality sound if you’re planning on building a small, minimal-gear studio for music. You can connect up to two instruments cables through the analog input connectors. One connector is in the front, which is an instrument line connector, and the other is in the back, with is the combination microphone cable and instrument line connector with a Class A microphone preamplifier with phantom power. You can input up to 24-bit resolution at 96 kHz. There are four outputs in total. 2 of the outputs are left and right channel outs for your monitor, and the other set is for headphones. You can connect two headphones, one 1/4 inch plug, the other an 1/8th inch plug. That being said, it does offer a limited amount of connections, which for some wouldn’t be enough. However, we do like the fact that you don’t have to run around to find the right headphones with the right plug for the headphone jack, or to search for an adapter, since the plugs are already there. Given the amount of connections it utilizes, you could find this essentially useful if you only planned on using one instrument and microphone setup in my studio. Also, looks beautiful, with a solid and hefty design that seems perfect for carrying around. The Audient iD4 doesn’t offer MIDI I/O, however. But it can be used as a controller for your DAW. The large volume control can be used to control DAW parameters like effects plugin controls, virtual instrument, or mixer faders. Also, tapping down on the main volume control will dip the volume output just in case you need to lower the volume without losing your level. And you can use it to pan the stereo signal coming from your DAW. These are just a few features in the Audient iD4. As you’d expect with this audio interface, it connects to your computer via USB 2.0 port in the pack. It can connect to with Mac, Windows, and even iOS devices like iPad and iPhones. In those cases, the large knobs can be used to control your iTunes library to scroll through selections. This makes Audient iD4 good not only for producers, but for audiophiles as well. Bottom-line, the Audient iD4 is a wonderful and beautiful looking audio interface. The ideal user is singer-songwriter and beat producer/composer who simply wants the ability to connect a microphone and instrument like a synth or guitar to their DAW. A small home studio choice, that you can take around with you as well when needed. 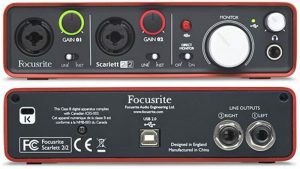 Originally, I was going to include the Focusrite Scarlett Solo in this list instead of the 2i2 because, for one, that’s the first audio interface many people tend to go for, thus it is super popular. 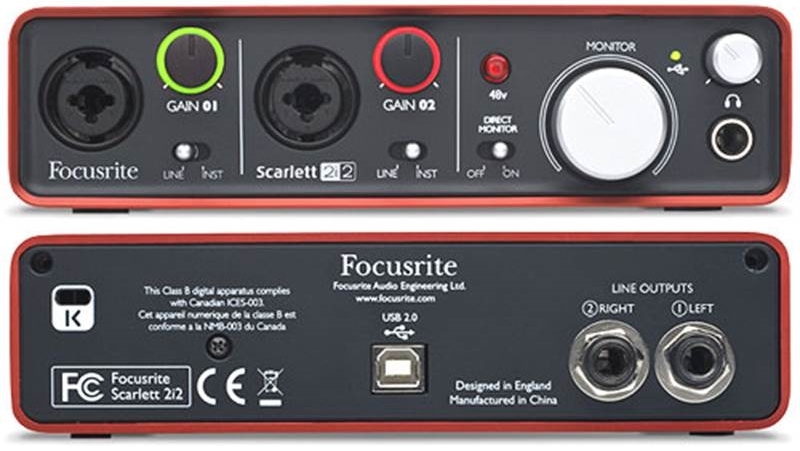 However, when consulting with various forums and reviews, you’ll find you’ll be continually redirected by other producers and engineers recommending the Focusrite Scarlett 2i2 audio interface instead. Why? Well, Scarlett 2i2 offers more connections that the Solo, and at some point, if you’re getting into music production, you’re certainly going to outgrow the single instrument and microphone preamp input that the Solo offers. Additionally, if all you wanted is just a couple connections for mic and instrument, better options already mentioned. However, if you click on the link below, you’ll find that there’s the option to get the Solo (if, for some reason, your heart is set on it). Moving forward, with the Scarlett 2i2, you can connect up to two instruments or microphones simultaneously, thanks to the combination connectors that offer 2 microphone preamps with phantom power. The preamps themselves are award winning in its class and have a natural-sound to them that can handle a “hot” pick-up. On the back is a couple of line outputs for monitors, one is the right and the other is for the left. The audio interface can process up to 24-bit audio resolution, and provide 192 kHz sampling. Naturally, there is a headphone connector on the front for headphone monitoring. Are there any downsides to the Scarlett 2i2? Not a lot. It is a great sounding audio interface, and one of the best you can get for this price (sounding just as good as others that cost a lot more). But just like the interfaces mentioned above, you aren’t able to connect a MIDI controller to your interface, and there are still just two connectors in the front, and one left/right channel in the back. But it’s setup does make it ideal if you plan of just recording a couple instruments or mics, and you can already plug MIDI via USB into your laptop or computer. On the upside, the Scarlett 2i2 comes bundled with a lot of really useful software. Pro Tools First comes in the Focusrite Creative Pack, which comes with 12 additional plugins. If Pro Tools is not your thing, you can install the Lite version of Ableton Live. Other goodies include Softube Time and Tone Pack, 2 GB worth of Loopmasters sounds, Novation Bass Station VST and AU plugin synths, the amazing XLN Addictive Keys (a great addition) and access to Focusrite’s Plug-in Collective, with includes offers from iZotope, Eventide, Fabfilter, and others. If you like the specs and the offers (and the candy color aesthetics also appeals to you), but disappointed by the number of connections, you can choose from other options ranging all the way up to 18 inputs and 20 outputs with 8 preamps from one device. Bottom-line, the Scarlett 2i2 is one of the best audio interfaces for home studio. It looks beautiful, sounds great, and offers a bunch of goodies. Plus there is an option for any type of home studio owner. A definite recommend. Whether you are shopping for your first audio interface or you are looking to upgrade from your current model, PreSonus Studio 1824 deserves serious consideration. It has enough I/O to cover the needs of small to medium-sized recording studios, with plenty more in reserve as your needs expand. Eight great-sounding preamps enable you to capture vocals and instruments in pristine audio quality. There are also 18 outputs provided, giving you more options for mixing, monitoring, and external processing. The 1824 comes in a roadworthy 1U rack unit with PreSonus Studio One Artist, Studio Magic Plug-in Suite, and UC Surface software bundled. Although priced affordably enough for the home users markets, the 1824 boasts of power, features, and performance that could easily meet the demands of working professionals. It is endowed with a variety of analog and digital I/O, so it will definitely meet your current needs while giving you room to grow. The 18×8 DSP monitor mixer offers extensive routing options, making the 1824 just as effective at recording multiple sources as it is for external mixing and reamping/external processing. It has 24-bit, 192 kHz audio recording capabilities, and the near-zero-latency monitor mixing and control-room integration make it versatile enough to handle a wide variety of recording applications. The XMAX Class A preamps are largely responsible for the 1824’s superior audio quality. Ultra-low-jitter clocking and high-quality I/O converters with 115 dB of dynamic range ensure superb results that meet the highest audio standards. The 1824 could easily serve as your studio’s central hub. The front panel has two combo mic and line/instrument inputs, and you will find six more mic/line inputs at the rear. There are even eight channels of ADAT Optical I/O–four of which can record at 96 kHz–enabling you to expand the 1824’s capabilities even further. The abundant array of I/Os definitely impresses users of the 1824. Featuring more I/O options than most home recorders and music producers will ever need, it certainly inspires confidence in terms of future proofing. The sound quality also earns the units high marks, particularly among users that have followed PreSonus’ product releases over the years. One user noted a significant improvement in sound quality with each succeeding model, with the 1824 offering especially warm, clear, and articulate recording and reproduction. For many users, the 1824 outperforms most other audio interfaces in its price range in every way. With the iOS and Android integration and the included UC Surface software, the 1824’s versatility is enhanced even more. Bottomline the PreSonus Studio 1824 is a flexible and great sounding audio interface that will be more than adequate for most home studio and music production setups. It also provides enough versatility and expansion options for more demanding applications, and could easily serve your needs even as your studio grows. For the money, the 1824 provides unbeatable value. The Focusrite Clarett 8PreX audio interface is a flagship professional grade audio interface by Focusrite that offers many connections for a home studio that records multiple instruments and mics. It’s a rackmounted audio interface that’s designed for permanent studio installation, as it offers the best quality audio conversion for the money. In fact, in a blind test among some professional studio engineers at well known pro audio company the Clarett 8PreX won out against other audio interfaces for twice the price. That’s one of the reasons why it made it on this list among the others that were considered. In terms of connections, you may not have to worry about running out of them for a while. All of the Clarett 8PreX’s connectors are at the back of the device. There are eight pairs of analog inputs, one for microphone preamp, the other for instrument. And then there are 1en analog outputs at the back, two of which are for your monitor speakers. This connections can be expanded via SPDIF I/O coaxial and ADAT optical digital connectors to give up a massive 26 audio inputs and 28 outputs in total. In addition to those connectors are the 2 headphone connectors, and 2 high impedance (Hi-Z) instrument line inputs at the front. Additional connectors are the classic 5 pin MIDI connectors at the back for your MIDI device, and a word clock I/O connector to keep your digital signals in sync. This audio interface connects to your computer via the high speed Thunderbolt connection to handle all that data to and from your computer. The Clarett 8PreX has eight ISA transformer-based microphone preamps (hence the name) with phantom power for each. The preamps offer an impressive dynamic range, excellent gain and practically zero noise. It also has the ability to switch to analog modeling mode (called “Air”). In Air mode, your vocals will “shimmer with presence and silky air” when you record them. Many users have found the feature impressive. That plus the 24-bit/192 kHz input with up to 119dB of dynamic range means high quality recordings without compromise. The Clarett 8PreX comes loaded with some really good features as well, as you’d expect for the money. There are 6-segment, multichannel LED meters on the front panel to keep you informed on the various levels of your system, as well as monitor outputs. You can control the monitor, and dim or mute the levels without losing your actual level. The Clarett 8PreX also provides enough juice to power your high impedance studio headphones, without need for an additional amplifier. And the Clarett 8PreX comes a lot of great content. 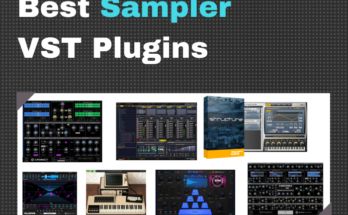 You get a free DAW, Ableton Live Lite, and 2 GB worth of Loopmasters Samples. A full version of XLN Addictive Keys comes in the package, plus a bunch of really great plugins like Softube Time and Tone Pack with TSAR-1R Reverb, Saturation Knob, and Tube Delay. The software mixer, Focusrite Control, gives you power and control over your device from your computer as well. Bottom-line, Focusrite Clarett 8PreX is one of the best audio interfaces on the planet. If you’re in the market for a truly high quality audio interface that you can use to record a group of musicians, it’s hard to beat this option. It’s compatible with both Windows (10) and OS X. The Apogee Ensemble Thunderbolt is the ultimate audio interface in this list. Both in terms of connections, features, specs, and, most of all, sound quality. Apogee is known as an excellent brand that makes great sounding audio interfaces, from portable iPad interfaces to high-end music production studio audio interfaces. The Ensemble Thunderbolt falls under the high-end, industry level spectrum of studio gear. And is used to record a lot of the music you’re probably listening to on the radio. So if you that’s what you’re looking for, let’s take a quick look at why you should consider buying the Apogee Ensemble Thunderbolt. One of the first considerations is the number of connections. There is a reason why it is called the “Ensemble.” If you plan on running a lot of simultaneous instrument cables and microphones, you have several options of ten analog inputs to choose from. 2 of these inputs come at the front of the device for easily plugging your instruments into the rack unit. 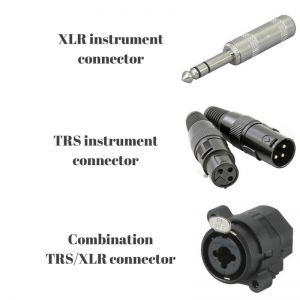 At the back, there are 4 dedicated XLR input connectors for your microphones and instruments, plus 4 other combination microphone XLR/instrument line connectors, two of which are hardware inserts, and 4 sends/returns. There are 12 analog outputs in total. 2 of which are monitor left/right outs, 2 more balanced line outputs at the front for easy access, and the other eight are compact DB-25 connectors for you instrument/XLR cables. What I’ve mentioned, however, were just analog connectors. You can boost the number of connections via 2 pairs of optical ADAT connectors at the back for digital in/out to 18 channels in total, plus the SPDIF in/out. This gives you a total of 20 microphone preamps, if you ever needed that many. So you definitely won’t run out of connections for a large ensemble. Moreover, the Ensemble has the capacity to be stacked with another Ensemble double the connections. That’s 32 channels of audio. Apogee Ensemble’s uncompromisable performance in handling all these connections are due to its onboard processor. You can get up to 32-bit digital audio conversion with it, which is the highest resolution provided by an audio interface on this list. The device also has something called the Time Domain Jitter Eliminator, which, as the name suggests, provides you with a clear, smooth, and jitter-free audio playback. When you compare the 32-bit converter to other 24-bit converts, you’ll notice the results being an astonishingly low THD+N specification, with a large dynamic range. Many users have been wowed by the audio fidelity and transparency they hear from the Ensemble, with all the juice to pump out a loud and accurate sound from your high quality studio monitors or headphones. So, is there any possible downside to the Ensemble? The only issue I could personally find is the lack of MIDI connections at the back. This may, or may not be an issue for most people, and you can easily get around it. On the upside you can control it using the software that comes in the package. In fact, you can even control the interface via your iPhone with the Apogee Control iOS remote app. Bottom-line, the Apogee Ensemble Thunderbolt is a great rackmounted audio interface for home studio, as well as profession project studios. It offers one of the highest quality and power you can get from an audio interface, and you won’t run out of connections. This is recommended this if you plan on doing recordings for decent size band or ensemble. It is compatible with both Windows and OS X, and connects to your computer via Thunderbolt. If you are prepared to invest in a serious audio interface that can handle most any task, the MOTU 1248 could be exactly what you’re looking for. Able to handle everything from modest bedroom recordings to full-blown studio productions, the 1248 is a hybrid audio interface that delivers amazing power and flexibility. The price may cause you to squirm while nervously checking your credit balance, but for the price you will pay, you simply won’t find a more capable and fully-featured interface. Superior sound quality is what audiophiles will appreciate the most, but the I/O and expandability and connectivity options are certainly nothing to sneeze at. A serious piece of equipment in more ways than one, the 1248 also boasts of the highly-regarded MOTU heritage. Right off the bat, the 1248 makes a strong impression with its staggering array of I/Os. It has no less than 32 inputs and 34 outputs, giving you the ability to record everything from string quartets to symphony orchestras. This also gives you the ability to set up as many monitoring configurations as you need, perform full mixes out of the box, and incorporate racks of external effects processors. Eight analog inputs are provided, four of which are equipped with great-sounding mic preamps. There are also two instrument level inputs for plugging in guitars, both of which are designed for low noise and full dynamic range. You also get 12 analog outputs, and an additional 18 channels of digital I/O (ADAT and S/PDIF). As expected, the sound quality is absolutely stunning. MOTU has long been known for producing audio recording equipment that delivers quality results, and it has clearly outdone itself with the 1248. Thunderbolt connectivity ensures low-latency performance while ensuring future proof capabilities. Given the extremely fast performance provided by the Thunderbolt connection, many users probably won’t have a need for the onboard DSP mixer. But users that don’t have a Thunderbolt connection will likely get a lot of use out of this feature. With 48-input and 12 stereo buss capabilities, the digital mixer makes it possible to set up some pretty sophisticated routing schemes. A good selection of DSP effects are provided as well, giving you more options for monitoring or mixing. The 1248 can be controlled remotely from an iOS device using a dedicated app. You could therefore use it is a standalone mixer, with full access to its various functions and capabilities. Users that have upgraded to the 1248 noticed a significant improvement in clarity over their previous interfaces. Details that were previously undetected in older recordings immediately became audible, and the overall sound quality was noticeably cleaner and clearer. Some users did mention being initially hesitant to spend so much on an audio interface. But the sheer number of I/Os, the pristine sound quality, and the extensive connectivity and expandability options eventually won them over. In the end, many seemed quite satisfied with their purchase, citing the 1248’s superior performance and features as compared to similarly-priced models. Bottomline, the MOTU 1248 is admittedly a bit pricey, but there are more than a few good reasons to shell out the cash for it. The excellent sound quality is one, and the large number of I/Os is another. If that isn’t enough, the fast and reliable Thunderbolt connection, the flexible DSP mixer, and the extensive routing options should be enough to convince you of its worth. If you’re an advanced user, you’ll be very familiar with much of this information already. This will prove as a great refresher, as well as provide some context to get an understanding of the rationale that went into the selection of these audio interfaces for this guide. Conversely, if you’re a beginner, just keep reading. Knowing the basics of an audio interface, in the first place, helps you to understand why its important, and why you need to get one, as well as how to make the choice that suits you. An audio interface is a device that connects your other studio gear to the digital audio workstation within your computer or laptop. That’s simply it. The reason why this is so necessary is that most consumer computers and laptops, even, at their highest quality, will have a native audio device that, when you try to run audio through them, causes fairly serious damage to the audio signal passing between your laptop or computer, and other gear (studio headphones, mics, monitors, etc.). Native consumer grade sound cards don’t have the capacity to render professional grade audio quality, especially over a phones jack. Let’s say you plug a microphone directly into your laptop’s input via the microphone jack it comes with it. Your laptop will need to process that analogue electrical signal, and turn it into a digital signal for your DAW to register it. And for you to listen back in real-time to that audio signal (called monitoring), your laptop or computer will need to again process that digital signal. This time to get an electrical analogue signal that can be picked up by headphones or studio monitors. Within a typical computer environment, your audio signal would need to go through many layers of processing. What you end up with is a nasty delay. If you plan on recording vocals or instruments, and hope to be able to listen to them from your computer’s DAW through headphones or studio monitors in real-time, you’ll need a way of bypassing the layers required to process the audio signal in the computer system. An audio interface bypasses your computer system’s audio device, connecting your instruments, microphones, studio headphones, and monitors to your DAW directly. Audio interfaces have the ability to convert and process audio signals at a much faster rate than a typical computer. What you end up with, then, is a device that produces close to zero latency, undetectable by the human ear. In some case, in the high-end market, practically zero latency. Which audio interface should you get? Now you understand what an audio interface is, how it works, and why you should get one. However, there are various types to choose from. How do you make your decision? We’ll touch on the connections first. The connections of your audio interface are vitally important. Audio interfaces may come with other features like DSPs and various preamp technologies, but without the suitable connections, those options would be worthless. So this part of the guide is the longest and most in depth. How many connections do you need? You need to know how many instruments or microphones inputs you need to connect to your computer’s digital audio workstation, as well as how many outputs you will need to run to you outbound gear. The options in this guide cover anywhere from 1 to 34 input/outputs. But you’ll how much you need based on the amount of simultaneous tracks you want to record at once. If you’re just starting out, it is often advised to go with a budget audio interface that facilitates just a pair of connectors… but I think this a little misleading, let me tell you why. A pair of connections (usually referred to as SOLO from the audio interface’s manufacturer) usually comes with one analogue input (to plug an instrument or other input in) and one analogue microphone jack. Analogue means a standard electrical plug, whether 1/4″ or common XLR microphone connector. If you plan of recording a band, or doing a podcast for 3 or more people, a “couple of connectors” is not going to be sufficient for you. What connectors do you need? We’re going to take a look at the five different types of connectors that you’ll need to consider to get the best audio interface for your home studio. We just briefly touched on analogue connectors, these are the most popular type of connectors because they offer quick connections on the fly for electric audio signals. 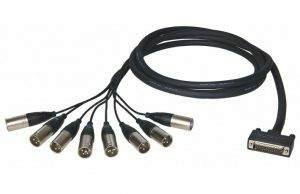 With these connectors, you can plug your instrument cable or microphone cable directly into your digital audio workstation via your audio interface. All audio interfaces (in this guide) come with at least one to many analogue connectors. These analogue connectors are important factors in determining the best audio interface for home studio. It means you can connect your instruments and microphone to your audio interface without any additional gear. Digital connectors offer two advantages: you can expand the amount of inputs and outputs to your audio interface significantly; or you connect high-fidelity digital audio to your audio interface. 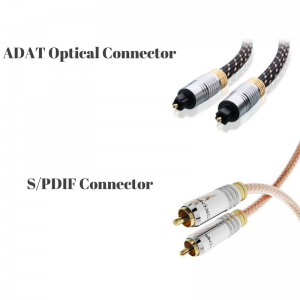 An ADAT optical connector is a port which allows up to eight simultaneous inputs and outputs at the same time at high sample ratings. While a standard instrument or microphone line uses an electrical “analog” signal, the ADAT uses a digital signal. This, of course, means that you’d need an AD/DA converter and, in most cases, microphone preamps, in order to convert your analogue microphone and instrument lines to digital before they can be hooked up to your audio interface via ADAT. Some of the more high-end audio interfaces come with up to 8 or more analogue connectors plus one or two ADAT connectors. With this, you won’t run out of input/output options. But for the more budget-friendly ones, you often time get between 2 to 8 analogue connectors, and maybe one ADAT connector. The other connector is the S/PDIF connector. It is not as often used, but it can facilitate a high-fidelity digital audio signal if you happen to need one. Think of it kind of like the HDMI of audio connections. A few audio interfaces will have this option. This is simply an analogue instrument/microphone preamp connector which allows the audio interface to facilitate high numbers of analogue connections in a smaller space. In addition to the connectors mentioned above are the MIDI connectors. If you’re unfamiliar with MIDI, it allows you to transfer digital signals from your MIDI instruments and controls to your computer. This is different from an audio signal. A MIDI data note is a command that comes from a controller or instrument telling your DAW or virtual instrument want sounds or parameters are to be triggered within the software to produce a sound within your DAW, or some other desired result. MIDI connectors on an audio interface look like these. There are also USB versions that look like your standard laptop USB ports. Some MIDI instruments don’t even have any sound on them and are used entirely to play virtual instruments on a computer. Some audio interfaces act as an interface between your MIDI instrument and your computer as well, allowing for more accurate note triggering and monitoring with your DAW. If this is an option you’d like, then you should consider this when purchasing an audio interface. This option is especially an important consideration for musicians that produce their own music, composers, and beatmakers. Not as important for sound and recording engineers. You can learn more about MIDI controllers from this guide. You’re not going to go very far in your home studio setup if you can’t connect your audio interface, and all the subsequent gear (headphones, studio monitors, instruments, microphones, and MIDI controllers) if you can’t connect it to your computer. 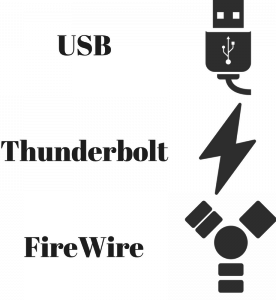 Thunderbolt – these are found on the newer Macs and Windows machines. They offer the fastest data transfers, and is fast becoming the standard for high quality music production and recording. FireWire – again primarily for Mac. This is the predecessor to the Thunderbolt. It offers high speed data transfers, but is slow becoming dated as more and more producers begin to use the new Mac computers. This is a very simple factor to consider, and it requires a much shorter description. Form factor simply refers to the physical design of the audio interface. Each type is best suited for a your particular setup. Finally, how much are you willing to spend? If you’re just starting out, a budget audio interface may be suitable for you. You can still get good quality from one of the entry level audio interfaces on this list, given that you choose one with the right amount, and type, of connections you need. But as you up your game, you’ll find that the more expensive interfaces offer excellent sounding preamps, some with analog circuitry, to give your vocal and instrument records better clarity and precision. There are also options for built in DSP (digital signal processing) to render effects modeling, like compression, reverb, etc., without utilizing too much of your computer’s own CPU power. So as you go over your requirements, consider some of these options as you read each description searching for your best audio interface for home studio. Is an audio interface necessary for studio monitors? While an audio interface isn’t absolutely necessary for studio monitors, it’s highly recommended if you want to increase the quality of sound. That being said, you can still hook up a pair of studio monitors to a laptop or PC without the audio interface. All you have to do is plug the ¼” cable into the monitor(s), and plug the other end into the headphone jack input on your laptop or pc. Again, it’s highly recommended to have an audio interface for your studio monitors since you don’t get the true quality of sound from a laptop or PC sound system. Is a mixer the same as an audio interface? Although they’re similar, a mixer and an audio interface play two separate key roles in audio production. A mixer can adjust frequencies, dynamics, and equalization as well as mix sounds and audio tracks. An audio interface is used to hook up XLR microphones, MIDI keyboards, and its greatest function is to increase the overall quality of sound. Audio interfaces also greatly reduce latency, and help out tremendously if you have a weaker laptop or PC sound system. If you think your need a mixer instead, take a look at these options. You can also read this forum discussion on the difference between them. What is the difference between a preamp and an audio interface? Many audio interfaces these days come with preamps. The difference between the two is that a preamp is made to increase sound input prior to the actual amplifier, whereas the audio interface has a broad spectrum of processes, including the preamp. If the sound signal is far too low, the preamp will raise it up enough for the amplifier to work its magic. You can also purchase audio interfaces without preamps, but they tend to be a little more expensive. For beginners, it’s recommended to start with an audio interface that already has a preamp. You can read more from this Gearslutz discussion. How can you connect MIDI keyboard to an audio interface? There are two ways to connect a MIDI keyboard to an audio interface. The first way is to connect the MIDI keyboard in the audio interface at the MIDI input, and then plug the audio interface into your laptop or PC. The second way is to plug the MIDI keyboard into a MIDI to USB adapter, then plug the USB side of the adapter into your laptop or PC. Then, plug the audio interface into the laptop or PC as well. Keep in mind that it’s always more effective to use the first option and plug your MIDI keyboard into the audio interface first, then the interface in the USB/Thunderbolt/Firewire input. For a more detailed explanation, take a look at this Sound On Sound forum discussion. How can you connect a mixer to an audio interface? There’s two ways to connect a mixer to an audio interface. The first option is to connect the female end of an XLR cable to the mixer, and the male end to the audio interface. You’d then plug the audio interface in as you normally would with your USB/Thunderbolt/Firewire cable. The other way you could plug them together is to plug a ¼” audio jack into the main mix output on the mixer and the other side of the ¼” cable into the audio interface. Then, plug the audio interface in just as you would in option number one. XLR cables always translate into higher sound quality, so keep that in mind when choosing cables. How can you connect studio monitors to audio interface? 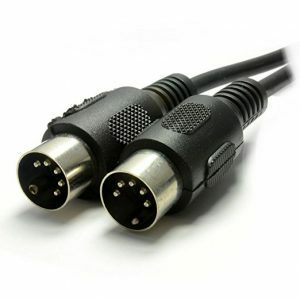 To connect studio monitors to an audio interface, you’ll need a cable that has a male XLR plug on one side, and a male TRS (¼”) plug on the other side. Plug the male side of the XLR cable into the audio interface on the right or left slot, depending on which side the studio monitor is on. Then, plug the TRS cable into the corresponding monitor. For example, on the right studio monitor, you would plug the XLR cable into the right side slot on the audio interface, and the TRS side of the cable into the right monitor. Repeat this same process for the left side, and you’re good to go. How to record electric guitar with audio interface? Plugging an electric guitar into an audio interface is actually quite simple. Take a ¼” audio cable and plug it into the electric guitar. Then plug the other end of the ¼” audio cable into the audio interface. After that, plug the audio interface in with the USB/Thunderbolt/Firewire cable and you’re all set. Make sure you have a good quality DAW (Digital Audio Workstation) for all of your music productions. What is “word clock” on an audio interface? “Word clock” is basically what synchronizes multiple digital sources or devices to have the same quality and speed. It allows for clear, precise, and smooth flow with music and other audio productions. A word clock is necessary if you’re mixing multiple audio sources together and desire a seamless overlap. What is “DSP” on an audio interface? Digital Signal Processing (DSP) is what allows an audio interface to adjust equalization, reverb, delay, dynamics, and much more. DSP provides an audio interface with several onboard settings that allow it to make many adjustments to audio production, all without sacrificing latency. If you don’t use an audio interface and DSP, your laptop will rely solely on its sound card which will never provide the same quality and lack of latency as an audio interface. You can read more about what DSP is and how it relates to music production here. What is the “pad” and “48v” switches on an audio interface? The “PAD” switch on an audio interface stands for Passive Attenuation Device. Basically what this does is it helps reduce output signals, or lowers audio, when it’s too loud. The “PAD” switch is meant to prevent audio clipping and damage to the audio equipment. The 48v switch, also known as Phantom Power, is used for condenser microphones. Due to the way condenser microphones are made, they require a higher charging voltage. Most audio interfaces come with 48v Phantom Power switches nowadays, but be sure to check and make sure that yours does if you’re using a condenser microphone. What is “gain” on audio interface? “Gain” on an audio interface is what you can use to adjust sound levels. Think of gain as the input sound, whereas volume is the output sound. If your input is too high, you can lower it by lowering the gain. If your input is too low, you can raise it by raising the gain. Check out this helpful article on on gain control for your audio interface. Getting a new audio interface can be quite a challenge. Even to someone that is experienced, there are still a lot of things one needs to consider. That’s why we tried to look at everything we can, breaking everything down spec wise and organized it in just 10 choices that spanned budgets and home studio requirements. Often times, we found that many who were looking for a new audio interface for home studio got locked in indecision. This is because of some the of the vagueness of manufacturer descriptions (particularly for a newbie), and especially when it came to connections. So this guide tried to keep things as transparent as possible. On top of that, if you were new to home recording, from the top of this guide, you would’ve gotten an audio interface 101 overview to help educate you in making the right decision, based on what you need, and what you understand. If you were just reading this out of curiosity, feel free to chime in on your ideas of the best audio interface for home studio. Perhaps letting others know your experience with any on this list, and what you think is a great option or even alternative. Otherwise, share this post with your friends or anyone you think would find this information useful. And remember, if you’d like see more of the guides, check out the post best equipment for home studio. This is the result of hours and weeks of combing through the internet to search for the best audio interfaces. We weren’t personally satisfied with some of the results, so a lot of digging around went on through forums such as Gearslutz.com, Reddit’s r/WeAreTheMusicMakers and r/AudioEngineering threads, product reviews, and buyer reviews from pro audio owners. Customer ratings from Amazon were used to determine which audio interface controller per specification, design, and price range was the best rated and had the most ratings. Then a comparison of that against forum reviews, user testimonials, and personal experience (where applicable). 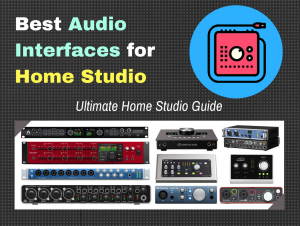 The result of this research amassed a total of 10 best audio interfaces for home studio that are available to buy online. 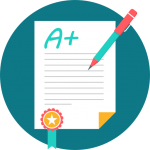 This article is really helpful and has got some serious detail! I’ve recently replaced my M-Audio Profire 610 with an Audient ID22. This ID22 is one of the best interfaces I’ve ever used and has some amazing preamps! My Profire 610, which I still use for its MIDI is actually Firewire. I’m interested in why it is Firewire is now phasing out? Is it not as good quality as USB? Yea those are good interfaces, too. There are so many. If I were to list out all the great ones this post wouldn’t be done yet, haha. Anyway. FireWire is still going strong, some users, like you, still rely on it because they have older Mac systems. But I think that inevitably it will be replaced by the Thunderbolt. No Motu interfaces? The new AVB devices are great! When I do an update or a new post, I will definitely give more serious consideration to the new Motu devices you mentioned. Feel free to contact me with your thoughts on the Motu you use for a future post update. Hello, when was this article written? This article was originally written late 2017, but as of the date of this comment, the products and reviews were updated in February of this year. Very useful guide, and like the FAQ at the end. I note that the Focusrite Clarett still doesn’t have official support for Thunderbolt 3 on Windows. Indeed, Clarett is a useful audio interface for people who still rely on USB (there are people that still rely of Firewire, after all), but they will certainly need to up their game inevitably. I have the Behringer U-Phoria 404HD and I absolutely love this unit. I’ve used Apogee and Avid interfaces in the past and this is just as good for me. However one thing I have to disagree with about your review. I run mine powered by USB without the external power supply connected and it works perfectly including the phantom power, using all 4 input channels and running both sets of outputs simultaneously. I use a mid 2010 iMac i7 27″. Another handy thing with this unit is that if that by using the external power supply, it will work as a stand alone mixer without a computer if you need something simple for a small live setup or monitoring system. Hi Rob thanks for commenting. Glad to hear you don’t have any issues with the USB only power. We saw that some users complained about it, but it was really the only potential issue that we could find. Thanks for the tip, also!